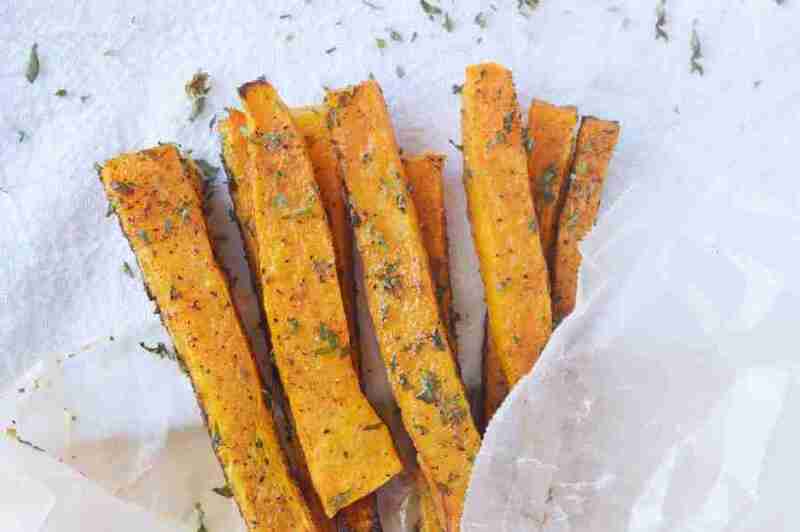 These cajun butternut squash fries are easy, addicting, and a much healthier alternative! 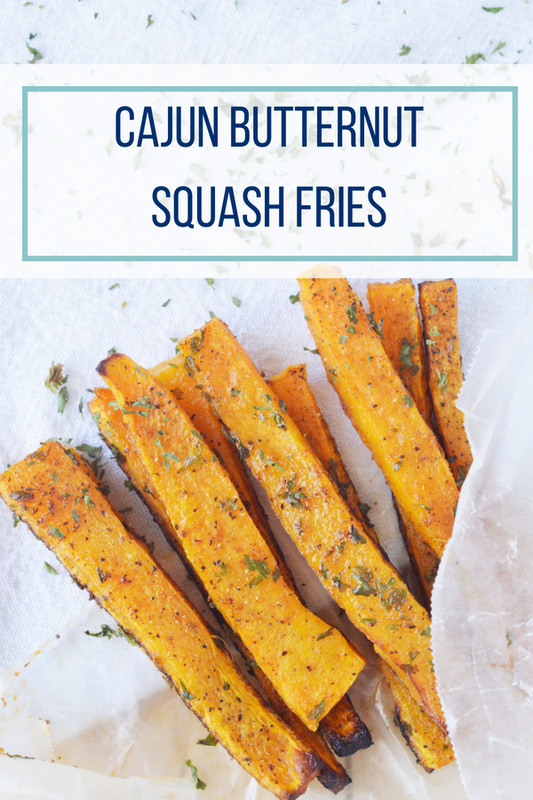 They make a great snack or side dish any time of day. This time of year we always seem to start having an abundance of butternut squash in the garden. I love how versatile it is. 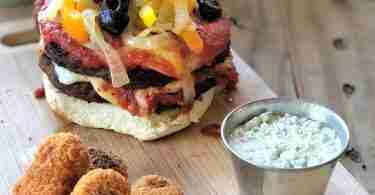 It really can be eaten in so many recipes from sweet, spicy, to savory. 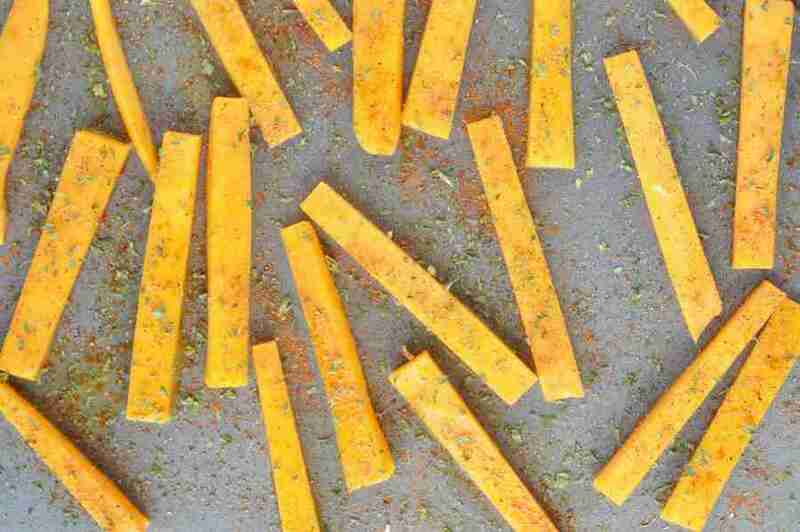 Today we are spicing things up and creating a healthy flavorful snack. 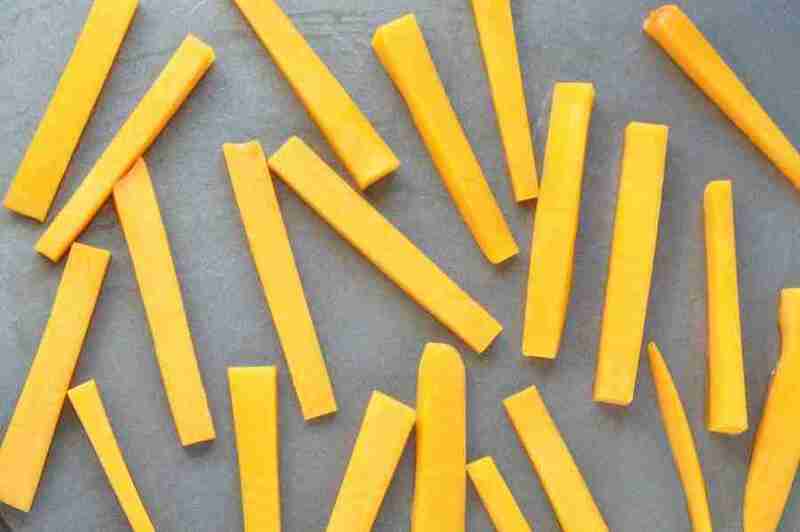 Cajun butternut squash fries are perfect for a quick bite or pair it up with a small chicken breast for an easy meal. 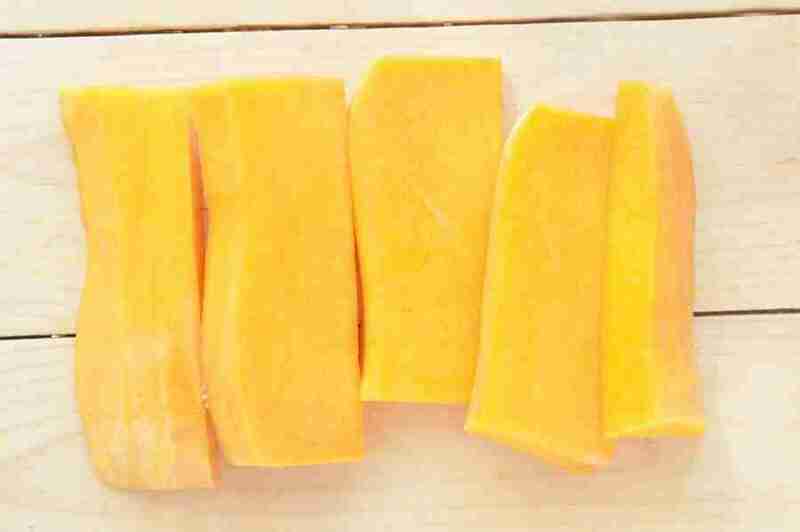 Wash and peel your butternut squash then slice in half long ways. 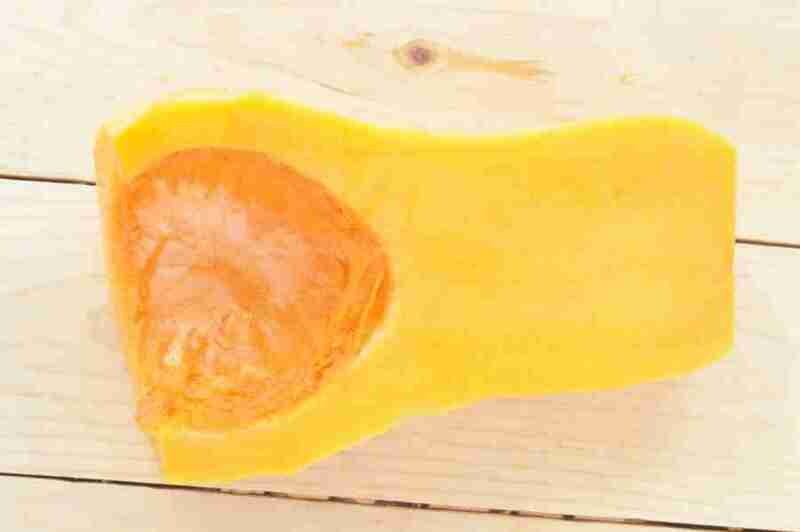 Continue to make large slices out of the butternut squash long ways. 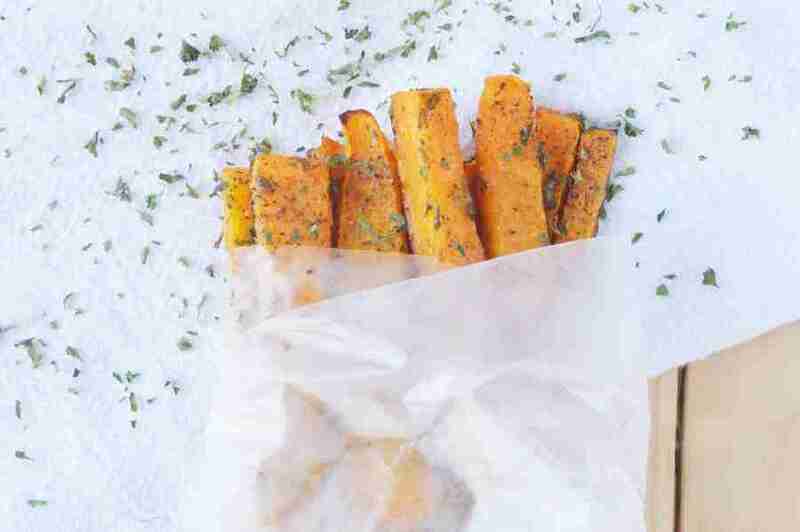 Sprinkle your fries with each of the seasonings, liberally. 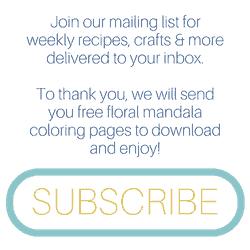 Then place in the oven and bake for about 20 minutes or until crispy. 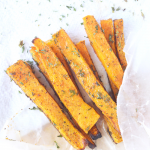 Wrap them up in parchment paper and take them for a snack to go. They taste great cold too.